"On the way of cleaning my machine (MacBook Pro, Late 2013), I accidentally permanently deleted important files from Trash. Is there any way to retrieve those files? I hope to get your ideas." MacBook users find it pretty annoying, when they lose vital data from their system accidentally. Whether you have unknowingly deleted few files or a system crash has wiped out the data; at the end of the day, the damage has already been done. And you find it insane to cope with. In such a situation, all that you might want to do is, learn some quick fixes for MacBook file recovery and combat this annoying issue for once and all. If you lost some files on your MacBook and are desperate to get them back ASAP, then there is nothing to get panicked about. We have got you covered! In this article, we have featured MacBook recovery of deleted files the best possible way. Go through the article and explore more. Well, the question 'how to recover deleted files on MacBook Pro?' is answered with this awesome Mac data recovery software. Tenorshare UltData - Mac Mac can recover your lost Mac data without much hassle. Whether your system crashed, you formatted the hard drive, or accidentally deleted files from your MacBook; this software is capable of retrieving the data you have lost effortlessly. Get your Mac data back, lost due to deletion, formatted, virus attacks or natural disasters, etc. Supports file recovery on MacBook Pro, MacBook Air, iMac, hard drive, SSD, video or music player, micro card, camera, etc. 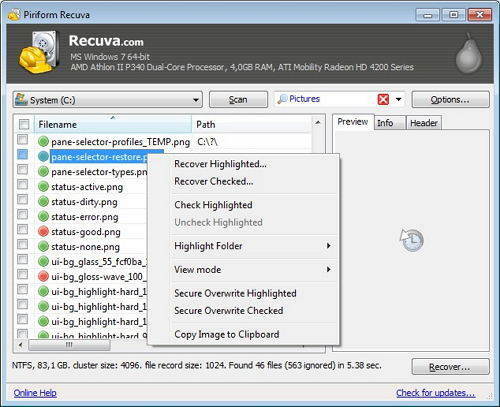 Preview the recoverable data before recovery. 100% secure to recover your data. It has a high data recovery rate to fasten up your work. Highly intuitive interface apt for even novice users. Now that you are comfortable with Tenorshare UltData - Mac, let's understand how to recover deleted files on MacBook. The guide is pretty simple and clean. You don't require pro level expertise to handle the software. The process involves downloading, installing and then quickly recovering your lost MacBook data seamlessly. Get the program downloaded and installed on your Mac. Run the application on your Macbook and then select the source from where you have lost the data. 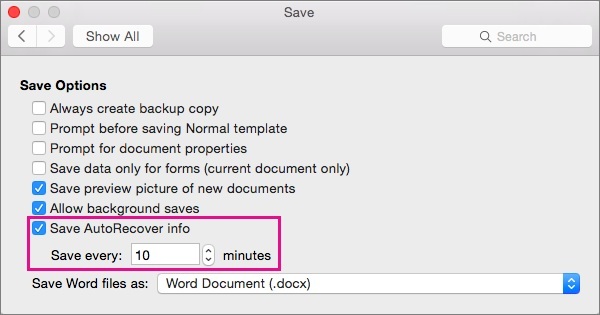 Assuming the data was on your MacBook hard drive, choose hard drive under the 'Hard Drives' option and tap the 'Scan' button. It is essential for MacBook file recovery of deleted, lost, and formatted files. Note: You are required to disable SIP in order to retrieve data from macOS High Sierra and later disk. In case, you are recovering data from Mac OS High Sierra or a latest disk. You can easily do that following the online instructions available here. It will take a while to scan your deleted or lost files over your MacBook. Now, from the next screen, hit on the file type from the left panel and then preview them for your satisfaction. After the scanning and preview job has been accomplished, you got to click on 'Recover' and pick a destination folder and then save the lost files you have retrieved. It is recommended to save them on a different folder other than the source folder where you lost it. Saving them on the original folder will make you lose the files forever. Now you are well aware of the way to recover lost MacBook data using Any Data Recovery for Mac by Tenorshare. Would you mind exploring the other methods as well to know more about recovering lost MacBook data. 1. In case, your MacBook got crashed and is not turning up. You can get the MacBook SSD out of the computer and connect it to an external hard drive enclosure. Verifying that you have lost data, you can take help of Tenorshare UltData - Mac to recover them. 2. Get your system repaired and then using Tenorshare UltData - Mac, recover the lost or deleted data quickly. 3. If the Mac OS only got corrupted, it is recommended to reinstall a fresh version of it on your system. Now, you can use a trusted data recovery software for Mac like Tenorshare Any Data Recovery and do the needful. From the above article, we conclude that in case of any kind of Mac data loss, Tenorshare Any Data Recovery is your go to place. You can retrieve lost, deleted or formatted MacBook or MacBook Pro data using this software. You get to recover a wide variety of data including 550 file types from your Mac. Photos, documents, archives, audio, video, email, webfile etc. 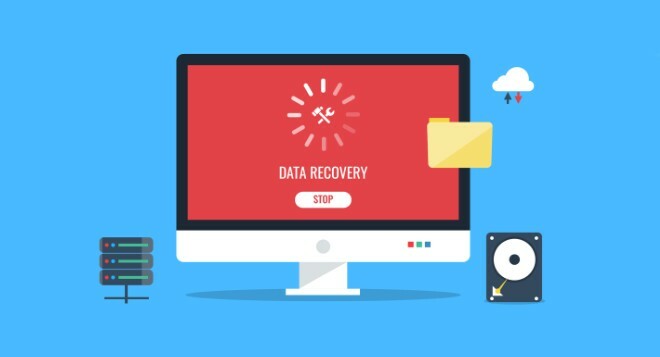 are just the tip of the iceberg that Any Data Recovery can get back on your Mac computer.